The digital age is numbing the senses that are important to building relationships and positive interactions. I grew up watching our modes of communication evolve, but millennials and later generations have been raised with devices in their hands. Spoken voice and focused listening have evolved as people are using these tools less often and replacing them with digital. How did we get to this point, and how can we balance traditional and digital interaction so it’s not so askew? Any ideas? I am guilty of allowing the scale to tip toward digital interaction. Like many today, I am a busy working parent. I control my children’s time on their connected devices, but somehow catch myself looking at my phone, my computer, or any other device – for scheduling, communicating, surfing, shopping and research. The old adage “do as I say, not as I do” comes to mind. At some point, I decided to cut the ties to paper and pencil and become a thumb-wielder using apps and online calendars to manage everything from volunteering to homework tracking. My career tools all went digital a while ago from Outlook, Zoom, Skype - all to keep up with everything that gives me “work/life balance” mode. I am a step away from "early adopter" status, but I miss the tradition of talking on the phone. I also miss the reliability (and clarity) of a wired line, but wireless is our future. Through social media, there are many viral videos and articles about the effects that digital is creating like the lack of face-to-face communications skills of our newer generations. I worry about the generations losing these traditional strengths and tilting the scale even more towards a different way to interact. So, how addicted are adults to their smart phones? This 2017 mobile survey from Deloitte gives a clear rundown of the growth of smartphone addiction. We check our smart phones around 47 times a day. 80% of us check our phones immediately when we get up or go to sleep. 85% use it while actually talking to friends and family. 47% of us are trying to limit our own smart phone use. 30% of us are succeeding by keeping our phones in our pockets as not to be rude to others, turning notifications off, deleting apps, and turning phones off at night. 30% of the 100% of the 47% - those statistics are bleak. Common Sense Media says that 89% of parents say the primary responsibility for limiting children's time spent on mobile devices is parents and caregivers. 50% of parents are somewhat concerned that these devices are negatively affecting their children’s mental health. We use these devices to research, compare, purchase, view and play. As a mom, I want my kids to look at me, talk to me, and connect on every level. I want them to communicate using more than their thumbs. As a strategist in the home, health and happiness categories, I am challenged to drive growth for my clients, reaching influencers and purchase decision-makers. As a consumer, I need the ability to buy quickly have things delivered to my front porch after searching, review analysis and chatting with friends. It is important to me that the experience is consistent and that goes beyond digital. For a marketer, staying current and sharing purchase and use experience is catamount to driving results. If it happens to affect my personal purchases, then it’s a win-win. Don’t underrate the power of the customer’s voice. If you actually have the opportunity to hear them on the phone, watch how they shop in a store, and assess how they use their devices. Every conversation is research for me. I find customers today to be interesting and unique. Reading information about their behavior is just not enough for this customer experience junky. I want to see them using their phones to do price comparisons while in store, clicking through pages, researching and pushing the buy button while also plugging in a coupon code they found online. It's like winning the lottery for consumer behavior. Retaildive.com conducted a survey to see how consumers were using their phones in brick and mortar stores. The results prove that mobile is one of the biggest influencers to purchase decision making, but the experiences need to be improved and the connections of brick and mortar to digital, more seamless. 54% of them were checking or comparing prices, 40% were downloading coupons, and 58% were researching products. According to Deloitte and Forrester Research, over $.50 of every dollar spent in stores is influenced by digital interactions, however in a typical month, 69% of US internet users still purchase something in a brick-and-mortar store. 22% purchased online and 9% bought something online for in-store pickup. There was a slight skew toward internet users who started the research process online (53%) as opposed to in-store (48%). An interesting tidbit. Once a shopper started in a particular channel, most completed a purchase in that same way. Roughly 1/3 bought digitally when researching online, and 42% bought in-store when initiating research in a physical store. Each of us have to determine how much digital is too much for ourselves, our families, and even for our consumers as I write this article on my Mac with my iPhone X sitting next to me on my desk between intermittent text responses to peers and family with my son on a Smart TV with his Nintendo Switch next to him, watching YouTube advice about FortNite. I go to bed lulling myself with my phone and awake to an app for meditation. FOMO comes to mind as I try to detox from digital. Bill Gates says that "your most unhappy customers are your greatest source of learning." Customers demand and expect positive experiences, most of which are connected through digital. Integrated marketing is necessary for today’s over-exposed customer. Digital show-rooming has become the norm, so you must have a consistent in-store and out-of-store experience. If you care about your customer, every touch point must deliver the same positive experience. If the product experience fails with one customer but succeeds with another, you have to determine how to fix the failure and duplicate the success. Each experience must be crafted to satisfy the customer. If you lose that consistency, you will lose your customer-and s/he will most likely communicate their negative experiences - if left unsatisfied. This leads to more loss. This digital consumer megaphone is not going away, so how do we maintain positive experiences to ensure that we have covered every base in the customer experience continuum? We must fill the gaps with traditional communications and not always rely on digital communication as the answer. In the book Leading on the Edge of Chaos, by Murphy and Murphy, acquiring new customers (to replace the ones you lost) is 5X more expensive than satisfying and retaining current customers. A 2% increase in customer retention is equal to decreasing your costs by 10%. If you can reduce your customer loss rate by 5%, you can also increase profitability by 25-125%. We have to understand the "why" behind the defection of each customer and not be afraid to make happy with some reward for their business. It is also important to stay in touch to ensure that we don't risk losing them again. If you get a face-to-face customer interaction, then ask yourself, how would you want to be treated after this experience? What would have made you happy enough to return? Read what your customers are saying – online, reviews, social media and analyze the phrases for consistently positive and negative trends. Develop ways to use or fix each situation on a consistent basis. If digital is your mode of customer service, you must have strong written communication skills to get through a chat, a social post or email with a tough customer. Create rules for each to create response consistency. You must understand customer needs and ask questions on what would satisfy them to know what options you have to keep them happy. Try to apply this consistently, as customers share their experiences with other customers. Understand your budget for fixing the problem, you don’t want to go bankrupt while trying to satisfy the unreasonable customers. Some customers are worth losing but replacing their revenue can be more expensive. With digital, everyone has a voice, and they have learned to use it. Anonymity allows them to do things in a passive aggressive way making it tough to remove some of the effects of these types of complaints. These digital relationships are not built from tradition, but they are becoming the new normal and must be nurtured to keep them healthy. Sir Richard Branson says "the key is to set realistic customer expectations, and then not to just meet them, but to exceed them - preferably in helpful and unexpected ways." I like the way he thinks. To be truly helpful and unexpected for your customer, you have to know how listen even when you aren't using your ears. In my next segment on customer experience, I will fill you in on some personal experiences that changed my mind about a certain grocery e-tailer. 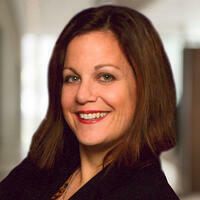 Dana is a Chief Outsiders CMO, product and solutions strategist and customer experience specialist. She helps B2C and B2B companies identify growth opportunities using insights to develop, market and implement innovative products and services that meet the evolving needs of today's decision-maker. With successful leadership results in product strategy, development and brand marketing, Dana is passionate about delivering holistic product, brand, user and patient experiences at every touch point, transforming marketing teams, driving client revenue and profit.